Despite its seemingly remote jungle location, you can travel to the centre on this wonderful day tour from Kota Kinabula with a short flight and seamless guided travel throughout. 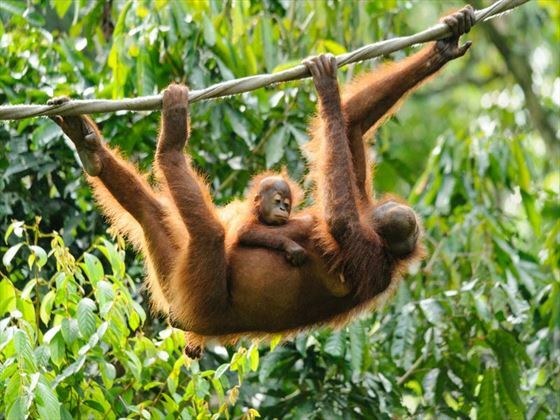 This is a day tour perfect for wildlife fans where you will gain a real insight into Borneo’s indigenous animals and the efforts to conserve the diverse species that inhabit this rain forest habitat. As well as a very special encounter with the ‘man of the forest’ you will observe the protected Sun Bears and then travel up to the coast to the Labuk Bay Proboscis Monkey Sanctuary. You will transferred from your hotel to Kota Kinabalu airport for an early (7am) 45 minute flight up to Sandakan, where you will be met upon arrival at the Sandakan Airport at approximately 8am by your driver. It is around 30 minutes’ drive to the Sepilok Orang Utan Rehabilitation Center. 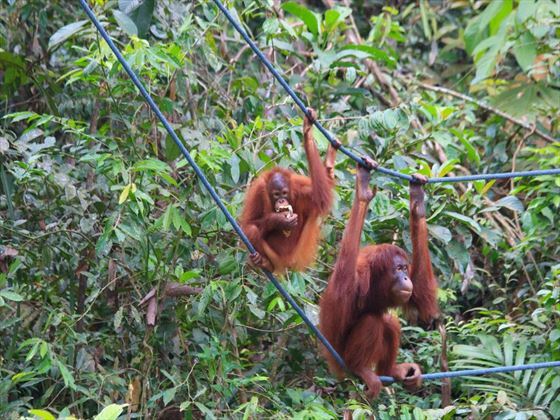 10:00 – On arrival at the centre enjoy a walk on the boardwalks through the Tropical Lowland Forest of Borneo where you will go straight to the free roaming area and its feeding platform. View the Orang Utans feeding and return to the centre to visit the outdoor nursery (as of today around 25 young orphaned orangutans are housed in the nurseries). 10.30 – Visit to the Bornean Sun Bear Conservation Centre, where rescued sun bears live in a 3 hectare forest sanctuary, the perfect place to see these unique Asian bears and observe their natural behaviours including searching for honey. 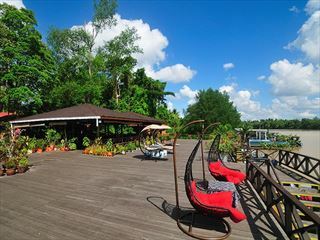 11:15 - Leave the Centre and stop for a lunch at MY Nature Resort, with a rainforest setting. 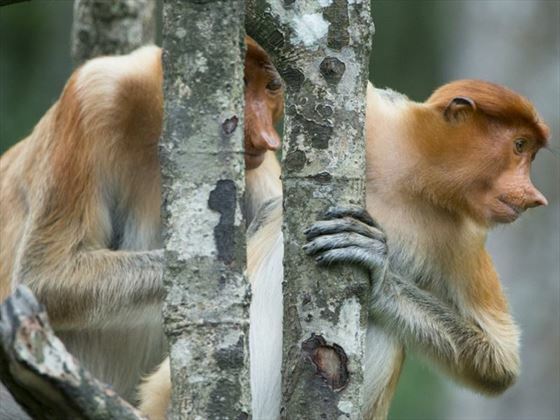 13:00 - Proceed to Labuk Bay Proboscis Monkey Sanctuary where you can observe the strange looking yet wonderful primates during their afternoon feeding. 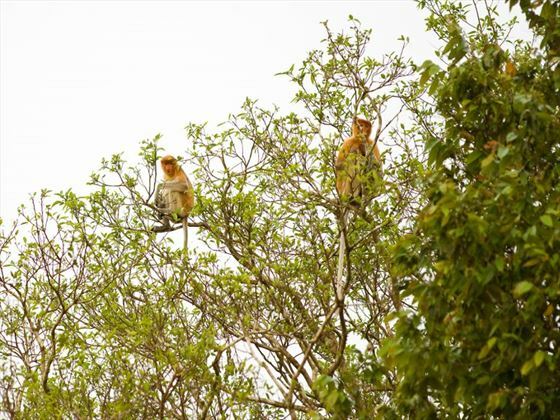 14:30 - Observe the odd nosed monkeys during their afternoon feeding. 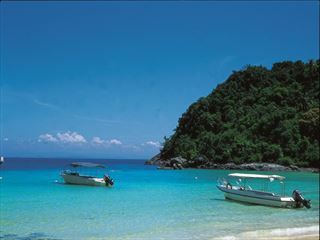 15:30- Depart Labuk Bay to return to Sandakan airport for your return flight to Kota Kinabalu. Arrive in Kota Kinabalu around 18:45. Transfers and tours with a local English-speaking guide in air-conditioned vehicles. 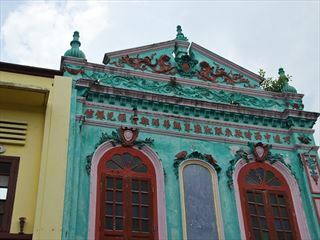 Join your guide on this cultural discovery of Malacca, learning about the history and and unique atmosphere with your French tour guide and staying overnight at the Snail hotel for a truly charming stay in this captivating city.